Today, Bingwa’s accomplishment is more important than ever. 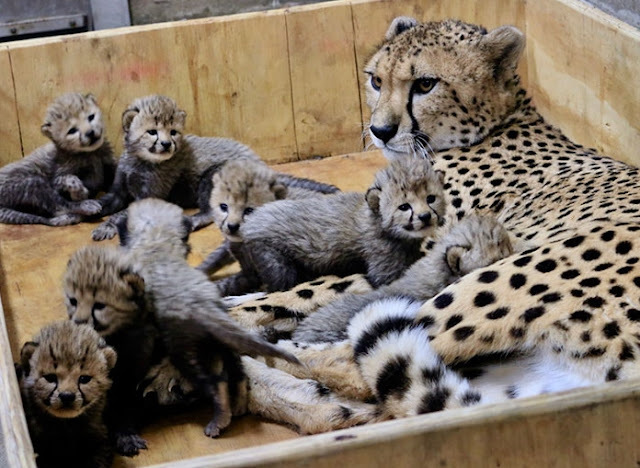 The world’s fastest land mammal is racing toward extinction. 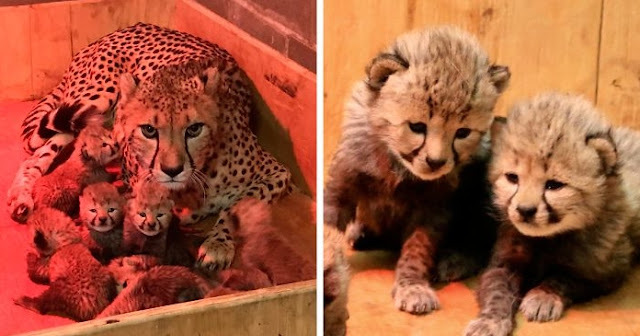 Bingwa the cheetah has just lived up to her name. 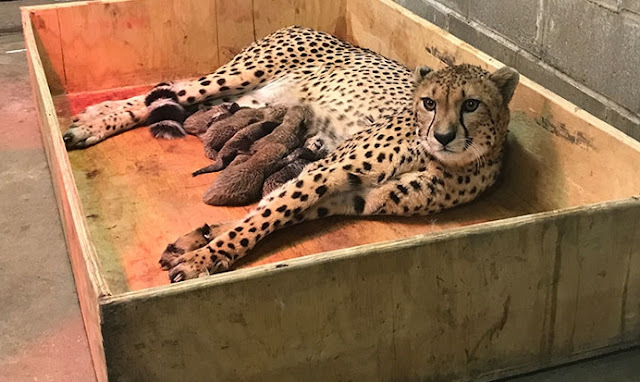 You see, “bingwa” in Swahili means “champion” and the 4-year-old has recently given birth to a record-breaking 8-cub litter. My mom constantly reminds me that even as a single child, I sometimes was just too much, so I believe we have to congratulate Bingwa and wish her well! 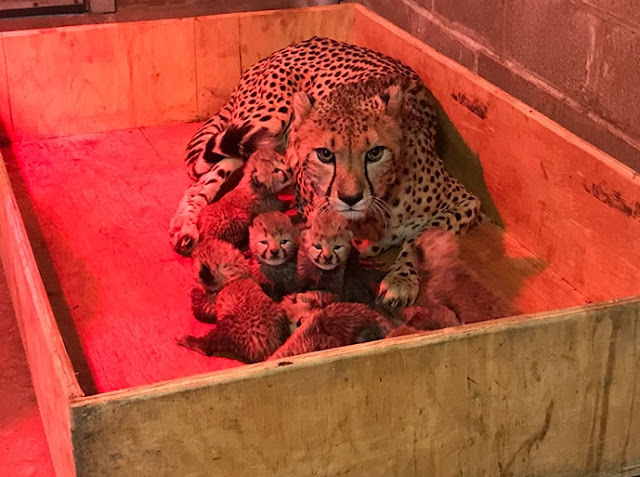 In over 430 litters documented, this is the first time a cheetah has given birth and reared on her own eight cubs at a zoo. 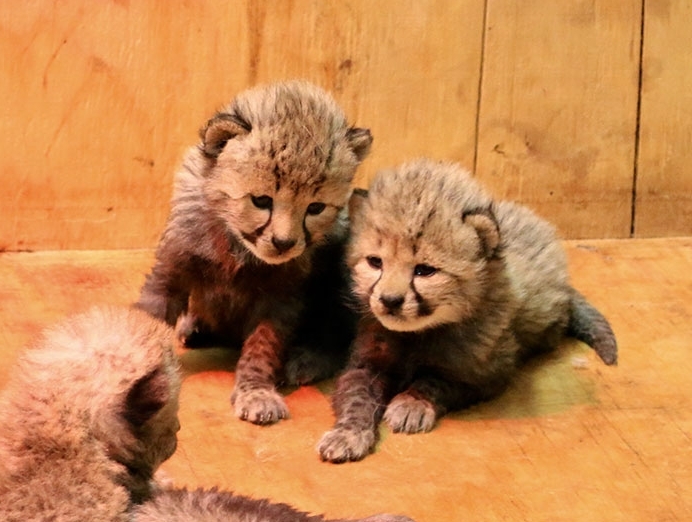 The average litter size is three to four cubs. 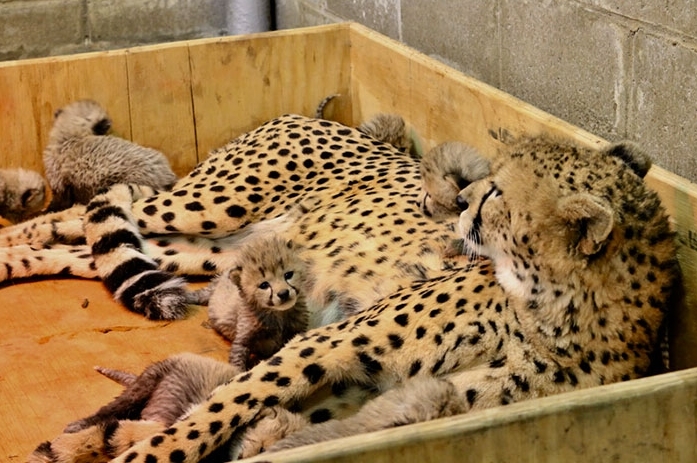 According to the zoo, Bingwa is already a perfect mom for her three boys and five girls. 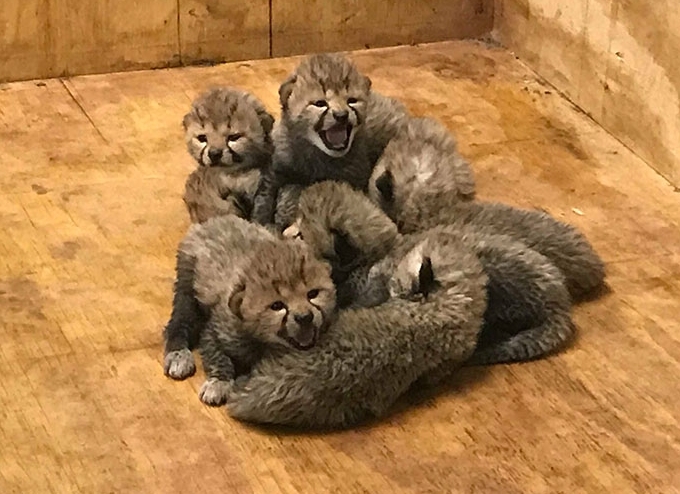 “She has quickly become adept at caring for her very large litter of cubs — grooming, nursing and caring for them attentively,” Steve Bircher, the zoo’s curator of mammals/carnivores said. She is on loan to the zoo from Wildlife Safari in Winston, Ore. The father, 9-year-old Jason, is on loan from White Oak Conservation in Yulee, Fla.
Today, Bingwa’s accomplishment is more important than ever. The world’s fastest land mammal is racing toward extinction. It is estimated that only 7,100 of the big cats remain in the wild. 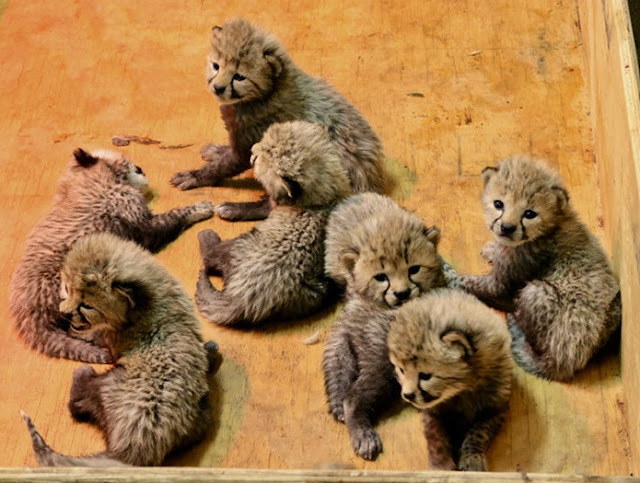 The latest cheetah census suggests that these predatory fluffs may decline by an additional 53 percent over the next 15 years. 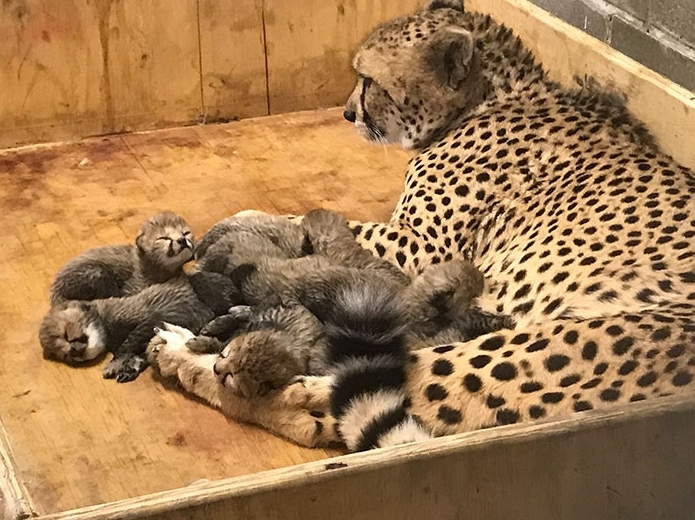 Responses to "This Cheetah Just Broke The Record By Giving Birth To 8 Cubs"
Please protect them, especially this heroic Momma.